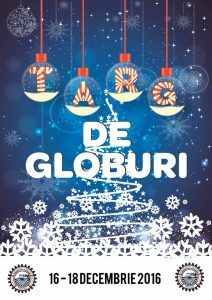 At the initiative of Rotaract Focsani Club, between 16 and 18 of December 2016 will take place The Christmas Balls Fair, the fair where can be bought beautifull manually painted balls, a project realised in partnership with Rotary VARANA Focsani and with the support of the Interact Focsani Club. It’s an action who aims colecting funds for equipping the General School from Maicanesti commune with a termic central and with all of necessary for assure the heating of this education institute who has over 150 students, but in this moment doesn’t have a central heating. We expect you at the sales points from Union Square and Carrefour Focsani where you can buy the painted balls, all the funds raised after this fair being targeted for better education conditions of the students in General School of Maicanesti.